Boba Fett really is the coolest. He’s the baddest- shut your mouth! Just talkin’ ’bout Fett! If you want to get the bounty hunting job and the ladies and all of the notoriety that comes with it, you have to dress for success. 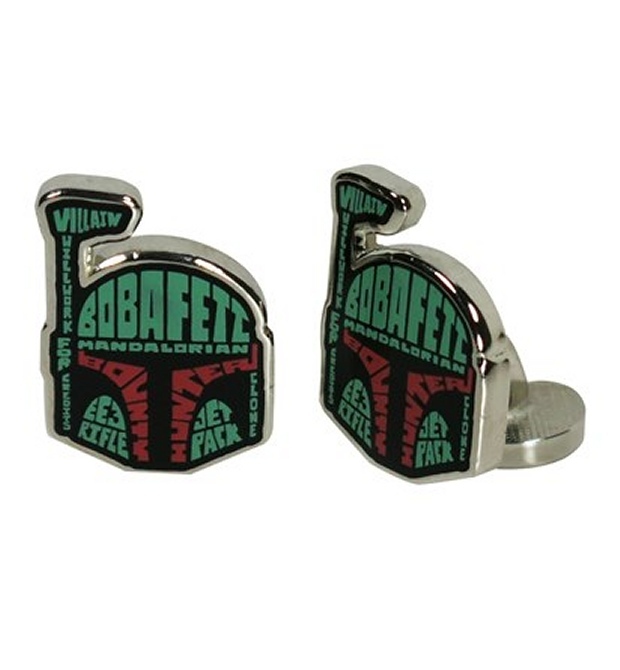 And you can’t go wrong with these Boba Fett Typography cufflinks. They just plain look good. And badass, like the man himself. 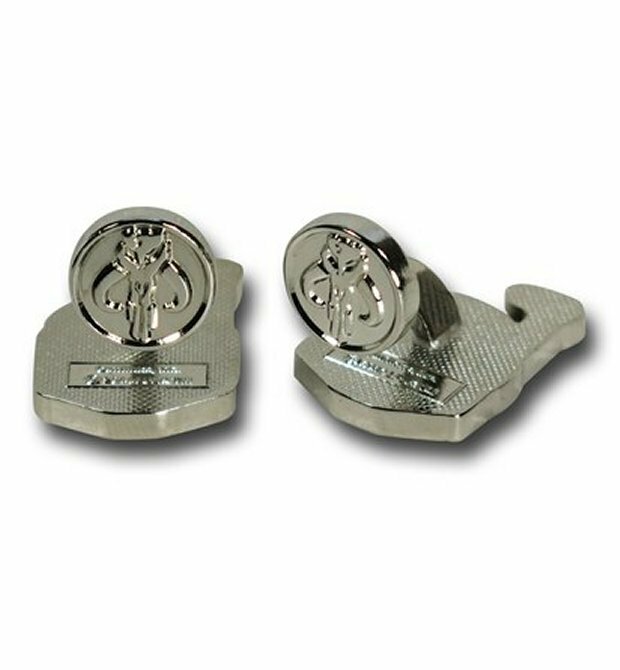 These 1/2″ by 3/4″ silver plated base metal and enamel cufflinks are the finishing touch for any outfit. They feature words that apply to Boba Fett, like “Will Work for Credits”, “Bounty Hunter”, “Mandalorian” and more. 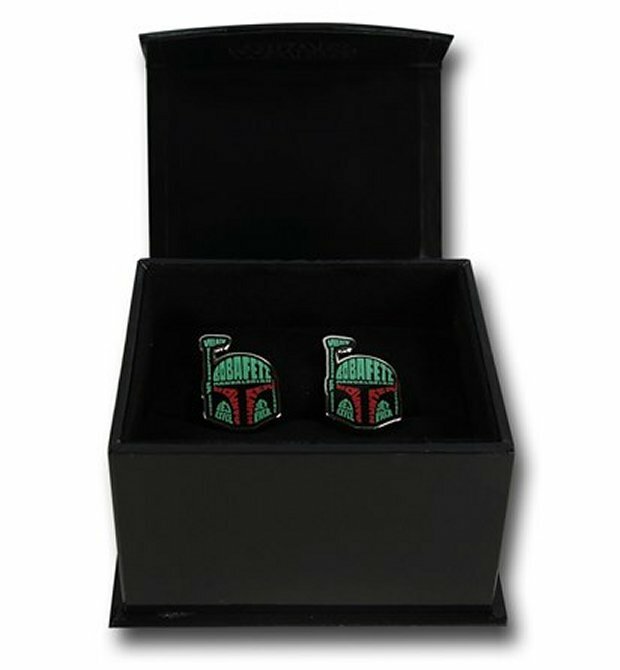 Boba Fett would approve. You know, if his wrist armor allowed him to wear such things.